Ghanaian startup Beam, launched in October of last year to facilitate remittances via bitcoin, has pivoted into allowing Ghanaians abroad to pay for gifts and bill payments back home, while also scrapping bitcoin as a means of payment. 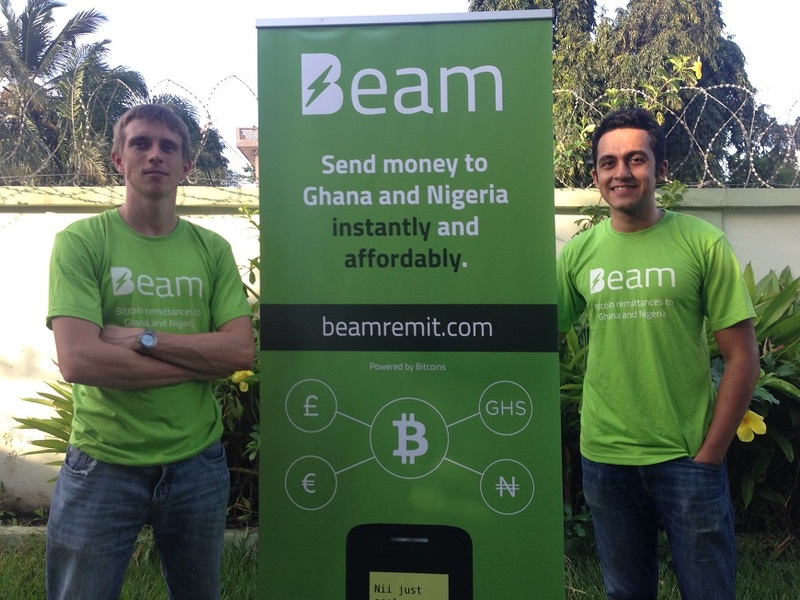 Beam was launched by Nikunj Handa and Falk Benke based on the realisation of how many problems existed in the payments industry in Ghana. An estimated three million Ghanaians live in the diaspora, with US$120 million remitted to the country in 2013 according to the World Bank. Beam was banking on the fact heavily undercutting other remittance services would lead to large uptake of bitcoin across Africa. This has evidently not been the case, with Handa leaving the business and Benke overseeing a pivot that has resulted in Beam leaving bitcoin behind. The new Beam allows Ghanaians abroad to care for loved ones back home with gifts and bill payments. “Using an international debit or credit card, you can pay for utility bills, top up airtime, send gifts or even get errands done back home in Ghana,” Benke told Disrupt Africa. Benke did not go into much detail as to why the company had moved on from bitcoin, but suggested it was due to lack of uptake related to the cost of exchanging bitcoin into local currency, limited merchants accepting bitcoin as a means of payment, and price volatility. He said he was not saying that bitcoin would not work in Africa, but said it was no longer on Beam’s agenda for the time being. Beam’s innovative solution and “ethical pricing” had previously won it plenty of friends. It obtained incubation and funding from Ghana’s Meltwater Entrepreneurial School of Technology (MEST), while it also won a place at the Seedstars World global competition in Geneva, Switzerland. In November, it launched Bitcoin Against Ebola, a website that allows Bitcoin holders globally to make donations using the cryptocurrency in support of ebola relief efforts in Sierra Leone.